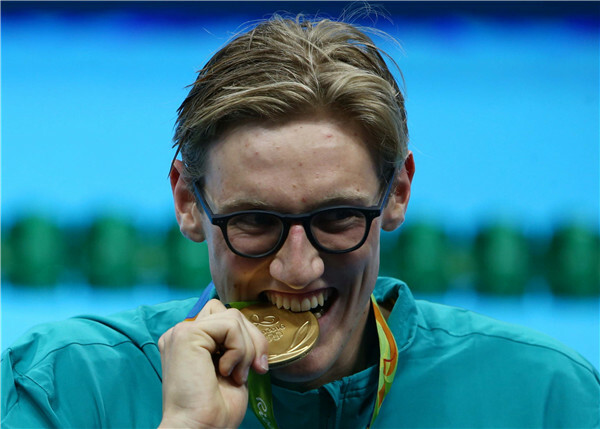 RIO DE JANEIRO - The International Olympic Committee (IOC) said it will look into the unfriendly comment Australian swimmer Mack Horton made on Chinese rival Sun Yang before it gave any comment. IOC spokesperson Mark Adams said on Sunday that he did not konw the incident until reporters told him that Horton called defending 400m freestyle champion Sun a "drug cheat" before and after the men's 400m freestyle final at the Rio Olympic Games. "I didn't know the incident. I need to look into it," said Adams. Sun missed the 400m title on Saturday evening by the length of a finger tip behind Horton who clocked 3 minutes, 41.55 seconds in the Rio Olympic swimming final. After the race, officials from the Chinese Swimming Association rang their Australian counterparts, asking for Horton to make an apology to Sun Yang.